Just look at this. 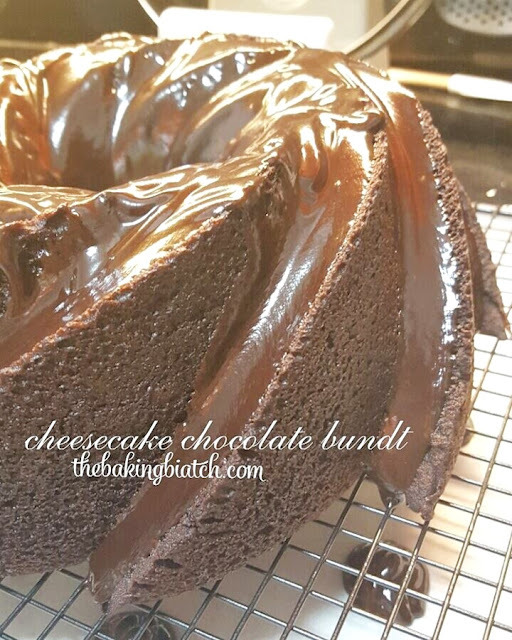 Are you salivating like I am? After the lovely Easy Chocolate Bundt, I was itching to bake another one of this lovely cake! 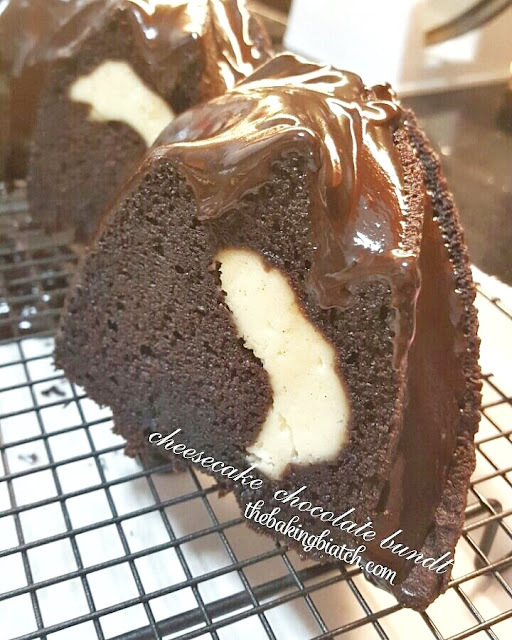 Inspired by Handle The Heat, I did up this Cheesecake Chocolate Bundt with fudge.. after all, what's there not to like when it comes to chocolate, cheesecake and fudge? After all, school has been really busy with teachers wrapping up the term with CAs, markings and what-nots. It's probably one of the busiest weeks of the term. Indeed, term 1 has just passed us by. It also marks the first term I've successfully taught a P1 class. As much as I'm Early Childhood trained, I did not fancy teaching P1s. I felt that they were way too baby and I wasn't prepared for that. Well, a term has passed and even though some kids are still adjusting, I'm proud to say that teaching P1s isn't that bad after all. Yes, they zap my energy. Yes, they require lots of patience. I'm just glad, and thankful that they've grown. Many of them have improved so much and grown so much since Day 1. This Wednesday, it's their big day. The kiddos' parents will be visiting our classroom, watching them perform and meet the 'chee-chers'.. I'm pretty excited to lead them in their dance.. For someone who can't dance, I think I did a pretty good job with my kiddos. I shall venture yet another cake on Wednesday if time permits! Anyway, this cake takes about 1.5 hours to complete and I'd rate it a difficulty level 3 out of 5. 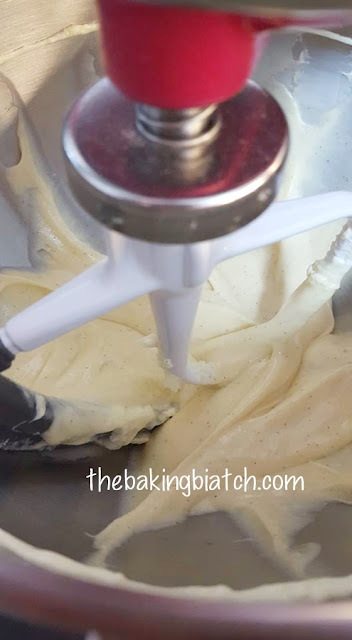 On low speed, mix cream cheese till smooth and creamy. Add flour, egg and vanilla bean paste. Mix well. Transfer cheesecake mixture into a piping bag. In a pan/pot, bring water, butter, salt and cocoa powder to a boil. Mix well. 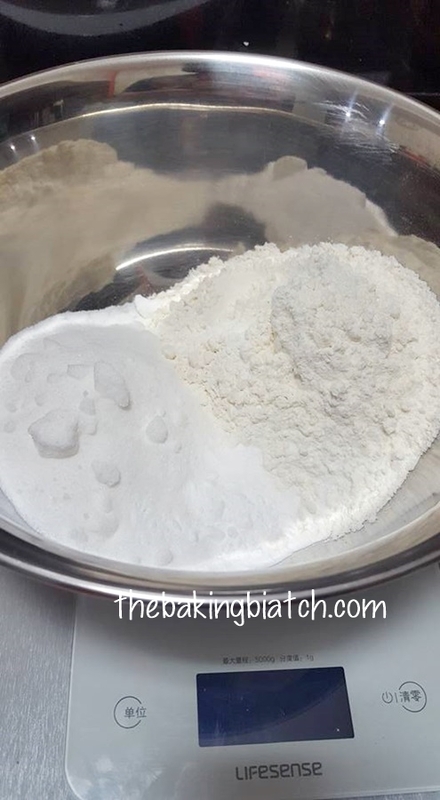 In a mixing bowl, mix sugar, flour, coffee powder and baking soda together. 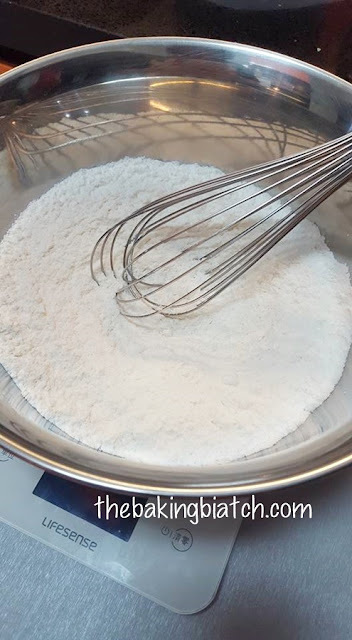 Whisk to mix well. 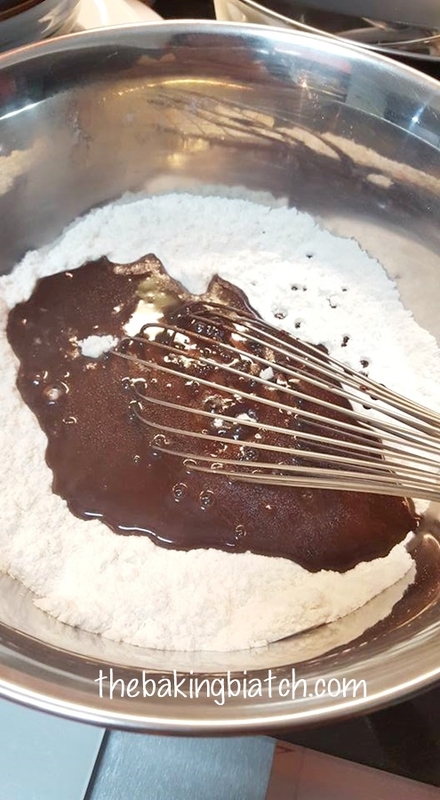 On medium-low heat, cook butter mixture till mixture is homogeneous. 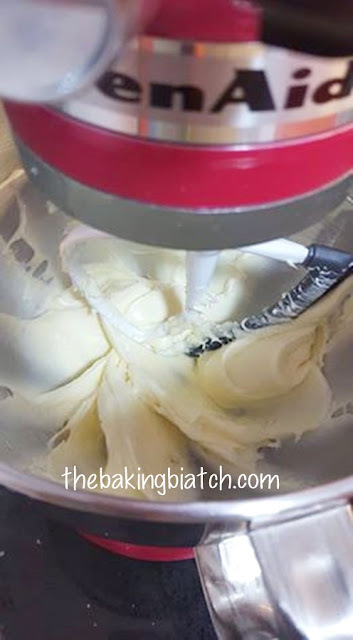 Pour in half the butter mixture into the dry ingredients. Mix in.. It will be clumpy. Fear not. 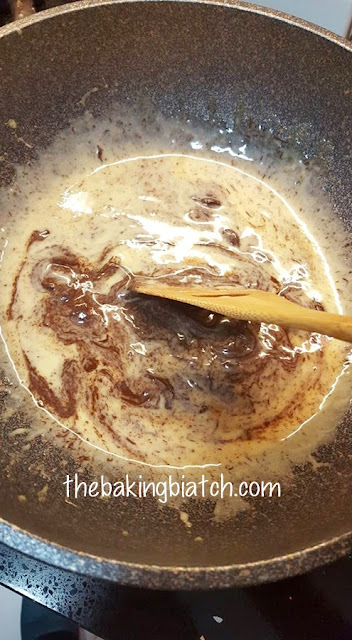 Mix in remaining butter batter and mix well. The mixture will be thick.. Mix till there are no more clumps. Add an egg and mix well till mixture becomes homogeneous. Add in sour cream and mix well. 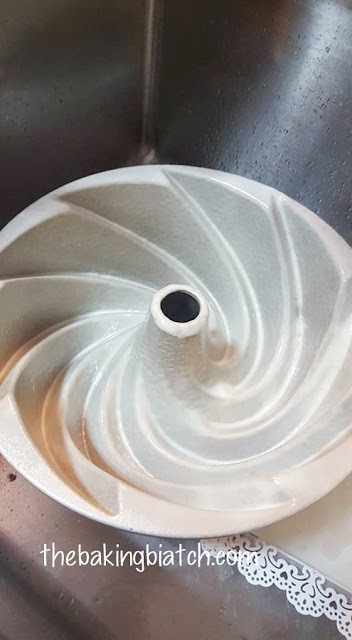 Batter should be homogeneous. Spray bundt tin with non-stick spray. 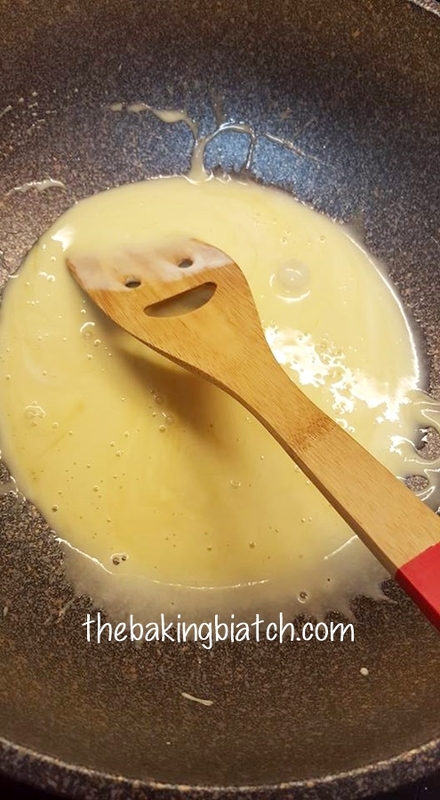 This is the non-stick spray I used. Pour in 1/2 the cake batter into the tin. 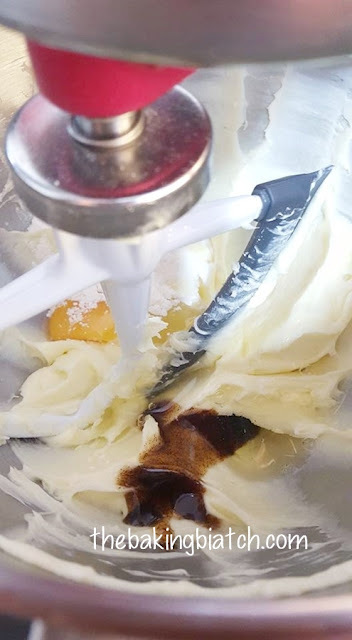 Pipe in cheesecake mixture, being mindful that the mixture does not touch the sides of the tin. Using a ladle/spoon, gently spoon the remaining batter to cover the cheesecake mixture. This video will show you how! Bake cake in a pre-heated oven of 175 degree Celsius for 45 - 50 minutes. 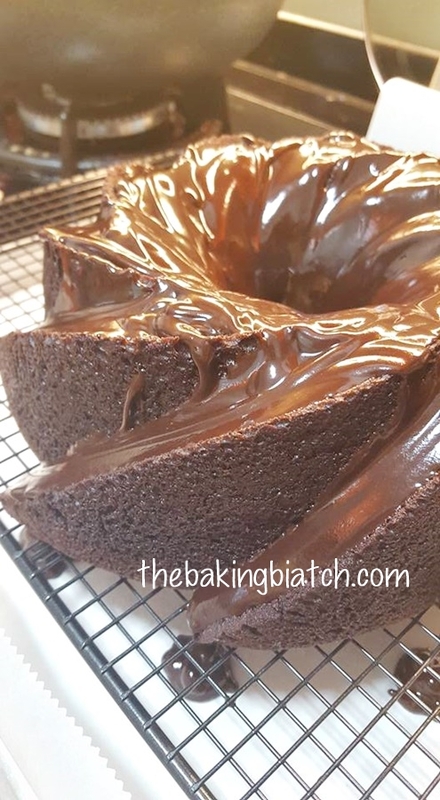 Remove cake from oven and cool on a cooling rack for 20 minutes before inverting tin to remove cake. Once cake has cooled completely, you may start preparing the fudge. 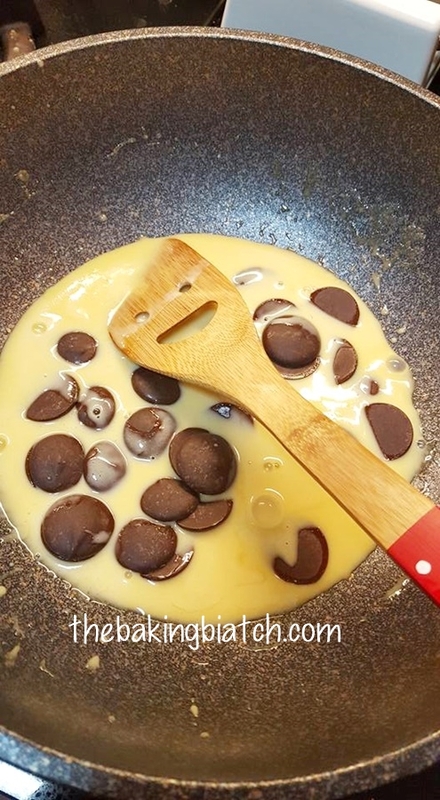 This fudge is absolutely delicious! 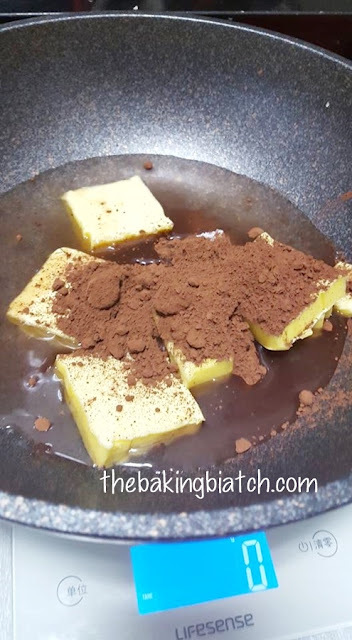 In a pan/pot, add thickened cream and golden syrup. 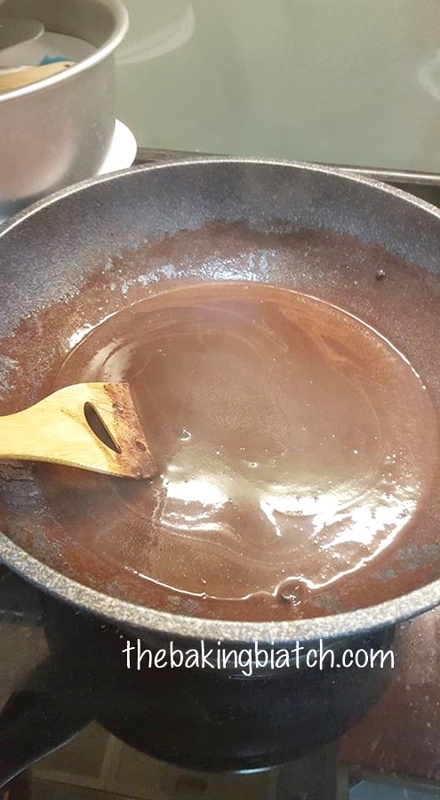 On medium-low heat, warm up mixture till small bubbles appear at the side of the pot/pan. 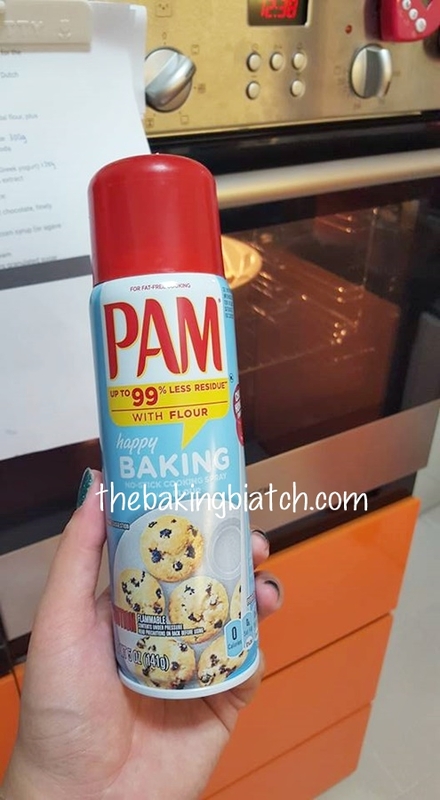 Avoid over heating the mixture. Remove from heat. 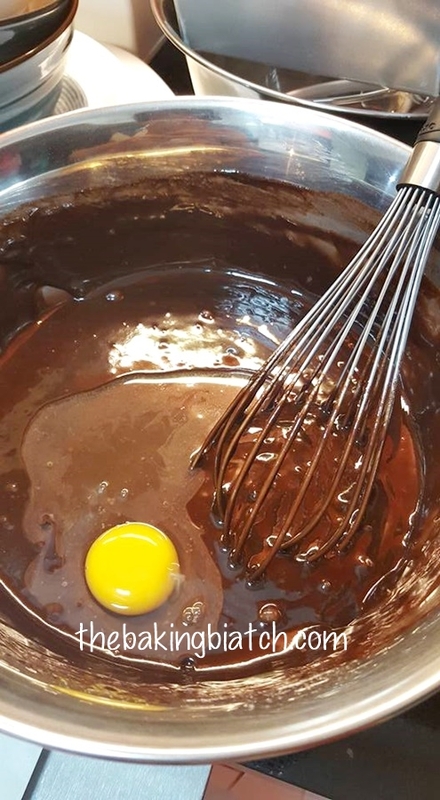 Add coverture chocolate and allow mixture to sit for 5 minutes. 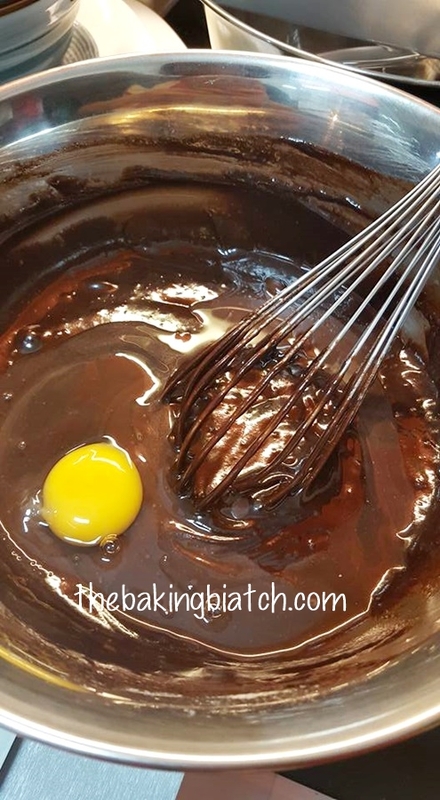 Give the mixture a good stir for the chocolate to melt. 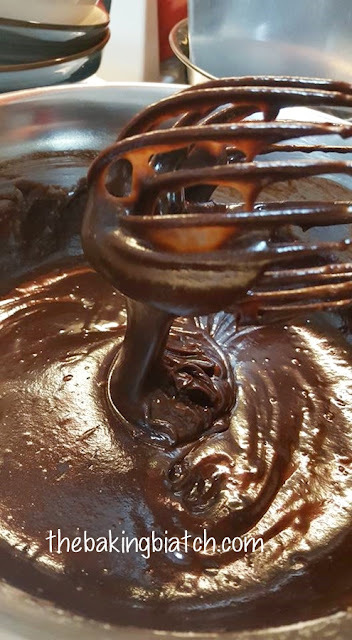 This fudge is just the bomb. 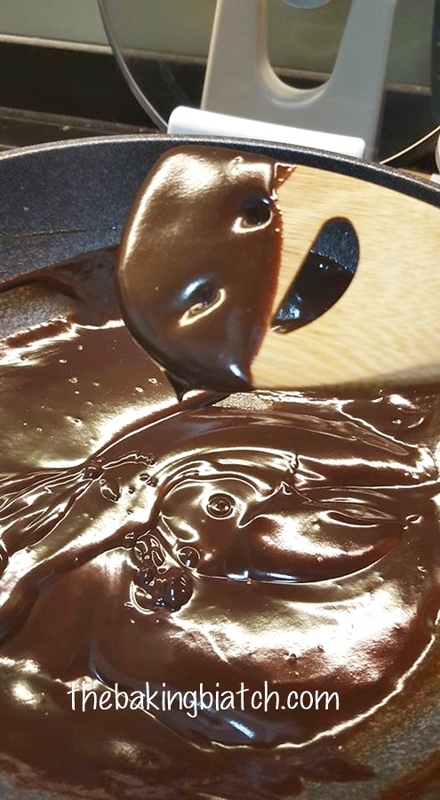 Allow fudge to cool in the pan or 10 minutes before pouring/piping onto your cake. 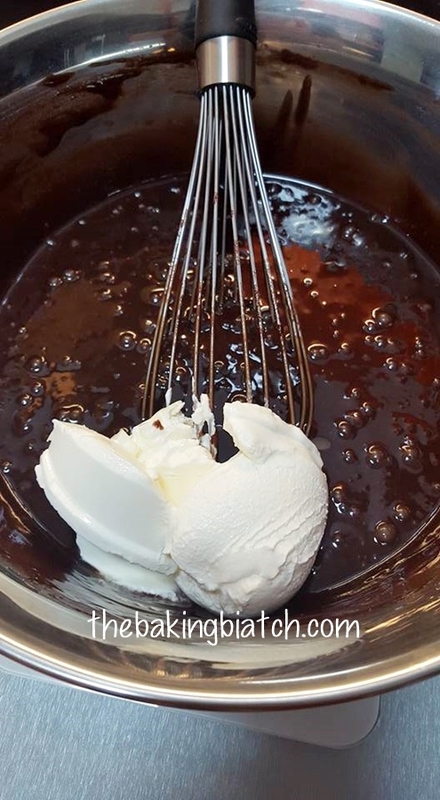 Here's a video on how I piped the fudge onto the cake! 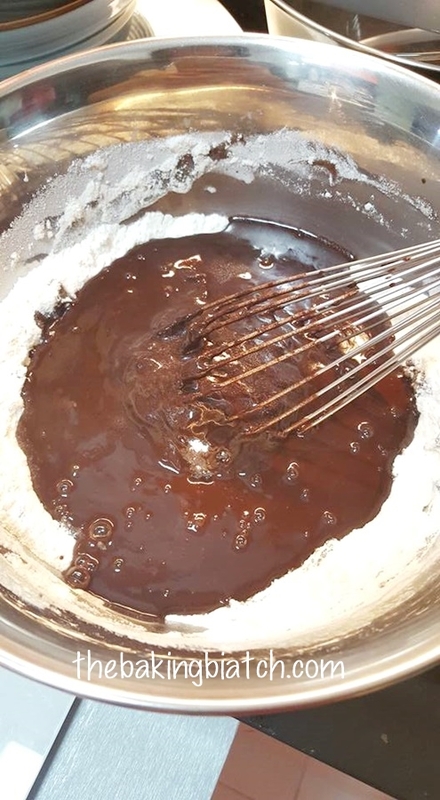 Allow fudge to set on the cake for 10 minutes before serving. The hubby loved it so much he wanted some to take to the office to share after enjoying a huge slice of it. I love the fudge very much and I'm gonna use it for so many recipes to come! 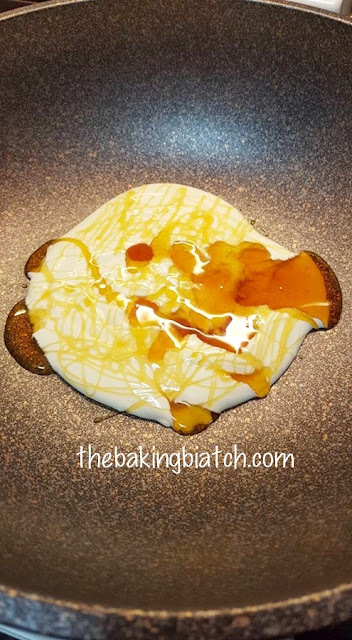 Enjoy this lovely recipe!